I learned the seriousness of the word deadline during my work in journalism while living on Cape Cod. Of course people working in science, as well as in law and other professions, deal with deadlines, and so does everybody in their daily lives. Still, the deadlines in journalism are the harshest, I think. When as a writer I did not meet my deadline for the printed newspaper, my article was dead — it simply was not printed. That was it! In English the word has the image of death, which is difficult to translate into my native tongue. The Polish word termin has many levels of harshness and not just one. 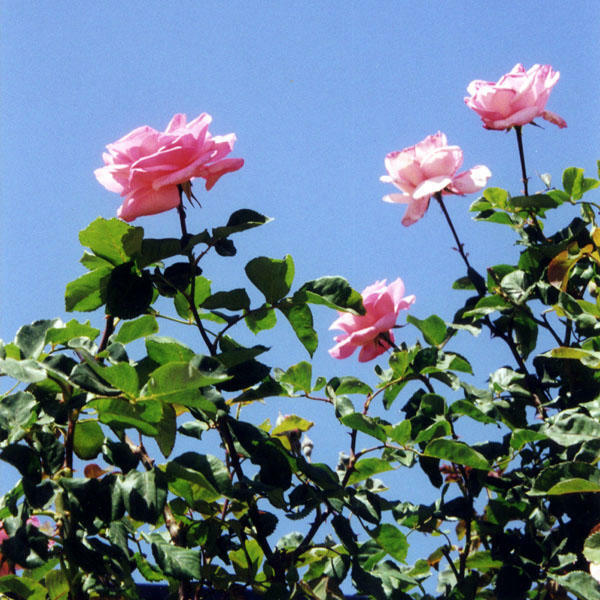 The expression termin ostateczny means ‘final’ rather than ‘deadly’. Actually, I learned that the English word originated in this country during the Civil War. It was a real line, drawn in the dirt or marked by a fence restricting prisoners in Civil War camps. They were warned, according to Houghton Mifflin Word Origins, “If you cross this line you’re dead.” It was through the newspaper business, however, that the word deadline became used and understood as it is today. I simply couldn’t resist making the above comment, but also wanted to tell you something about my own deadlines. Every other week I write a new post for this blog and today happened to be my deadline. I almost missed it being preoccupied with getting ready for our (David’s and my) annual trip to the Cape. The deadline for the trip has been changed several times because of many commitments I have to fulfill before our departure. At this moment I feel overtired and frustrated and dream about having some time off from all my responsibilities. That is impossible, of course, but some ease can be achieved. In order to meet my commitment to this blog and at the same time to work on an important publishing project (while on the Cape), plus to have time for my friends and beach visits, I have decided that my August and September posts for this blog will be a bit different. Instead of the usual essay with a few photographs I will post my photographic observations from the trip with just a few words. I truly hope you will enjoy them. 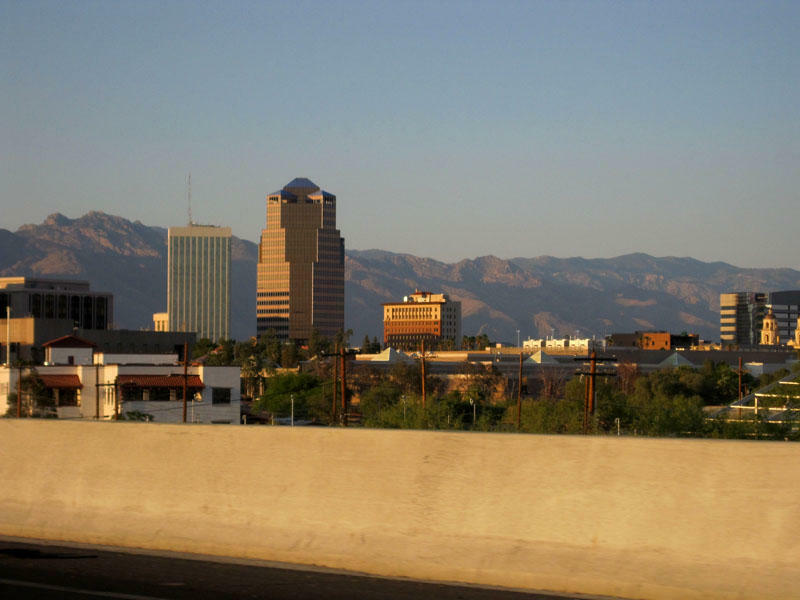 So tomorrow I am closing my studio and leaving behind sunny Tucson for two months. Thank you all for reading this blog and special thanks to those who take time for writing comments. Good luck in reducing some of your deadlines! Have some fun this summer. What do South Sudan, the United States and Kiribati have in common? Definitely not the size of the country, not their political influence, and not their geographical location. All three — the United States, the Republic of South Sudan, and the Republic of Kiribati have their birthdays in the first half of July — on July 4th, July 9th, and July 12th, respectively. 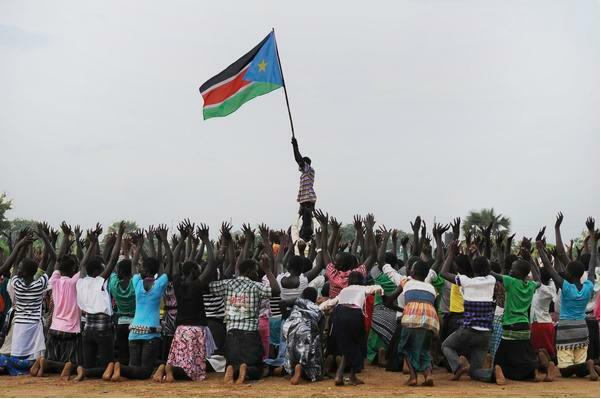 Just a few days after our Independence Day, a festively dressed crowd of South Sudanese gathered in Juba on July 9th — from the early morning through the entire day — for celebrations of their independence. They waved their new country’s flag with great enthusiasm and triumph. By breaking away from Sudan, the Republic of South Sudan became the 54th country of Africa and the newest country of the world. “My country, too, was born amid struggle and strife on a July day,” Susan Rice, the US Ambassador to the United Nations, said on that memorable Saturday in Juba, the capitol of South Sudan. “On this day the world’s oldest democracy welcomes the world’s newest state. Independence was not a gift you were given. Independence is a prize you have won,” Ms. Rice stated. Indeed it was a long struggle by the Southern Sudanese. They endured over three decades of civil wars ravaging their country. More than 2.5 million people died and 5 million were externally displaced as result of these wars. 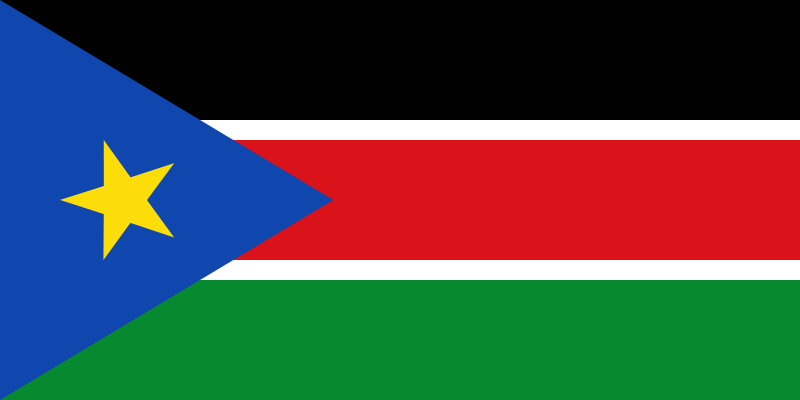 Finally this year, as the result of the referendum held in January, South Sudan seceded from Sudan. An overwhelming majority of the population (98.83%) voted in favor of it. The formal independence was declared on that hot and sweaty July 9th. A similar dream of independence came true for Kiribati on July 12, 1979 when this island nation of the central tropical Pacific Ocean became independent from the United Kingdom. I did not pay attention to this small nation of 98,000 people till I discovered its flag in the Rand McNally handy Notebook World Atlas which I carry around with my slender Toshiba PC. One day while looking at the pages filled with the flags of the world’s countries, I stumbled upon the Kiribati flag – it made me smile. It is one of the most beautiful flags, in my opinion, among the other nations’ flags — the unusual symbols of it are peaceful and inviting. I immediately thought about visiting that country some day. Kiribati (the former Gilbert Islands), pronounced in the native language as Kirr-i-bas with a surprising s on the end, became even more interesting for me when I learned that it is the country — the one and only — located in both hemispheres. It is positioned on both sides of 180th meridian. Inquiring further I discovered that traveling from USA to Kiribati is not an easy task. First I would have to go to Hawaii and then from there to Kiribati. The planning has to be very precise because there is only one flight per week connecting Hawaii and Kiribati. 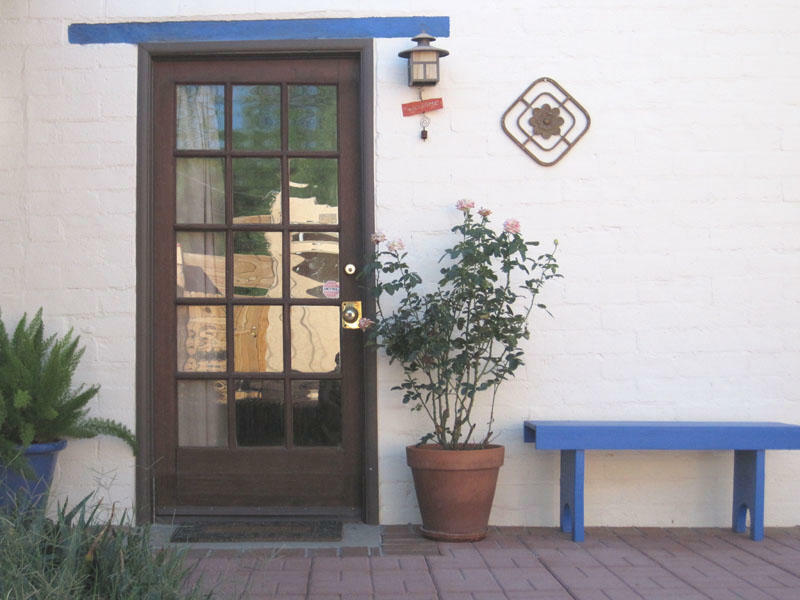 But if I really want to visit and perhaps some readers might be enticed, too — we have to hurry up. Kiribati is steadily disappearing. Why? According to Wikipedia, Kiribati is expected to be the first country which will disappear as the result of sea level rise due to global climate change. In June 2008, the Kiribati President Anote Tong declared that country had reached “the point of no return.” The same year the Australian and New Zealand governments were asked by Kiribati officials to accept Kiribati citizens as permanent refugees. They will be the first environmental refugees — not political, not economic, but environmental refugees! Global climate change is with us for real, if anybody has some doubts. It is as real as Kiribati’s fate. A couple of Kiribati’s islets already disappeared in 1999. Such disappearance is not a myth or legend like the story of Atlantis, described by Plato in the fifth century BC. Atlantis may have existed or not, but Kiribati does exist today and tomorrow will be gone. 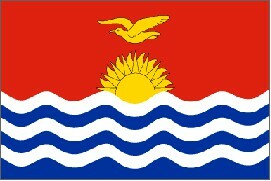 The beautiful flag of Kiribati will remain. It should remind us of its anticipated fate and our responsibilities to this planet — to try as hard as possible to prevent more disappearances of islands, plants, animals and entire habitats. Photo of crowd in South Sudan from Reuters/Paul Banks. 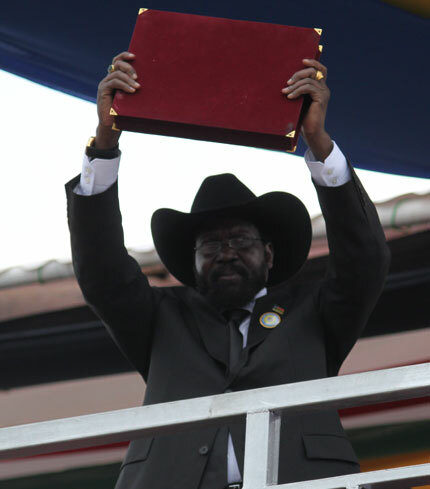 Photo of President Kiir by Matata Safi from Government of South Sudan website. 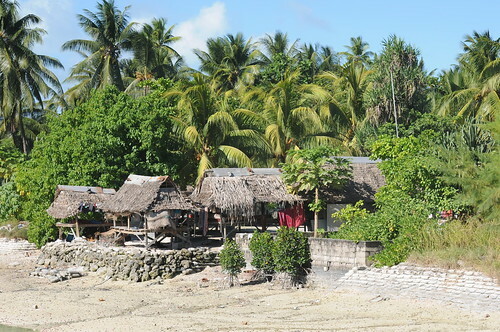 Photo of huts on Kiribati by Brad Hinton on Flickr under Creative Commons license. Text copyright © 2011 by Alicja Mann.